Toy invention company - FUSE London Ltd.
We’re so proud to be one of the most highly awarded toy invention companies in the world. Fuse London have many celebrated inventions in market. Play continues to evolve and in order to stay one step ahead, we collaborate with the best outside development resources in industry, technology and academia. From our vibrant studio in West London we create, build and license innovative toys for the global market. 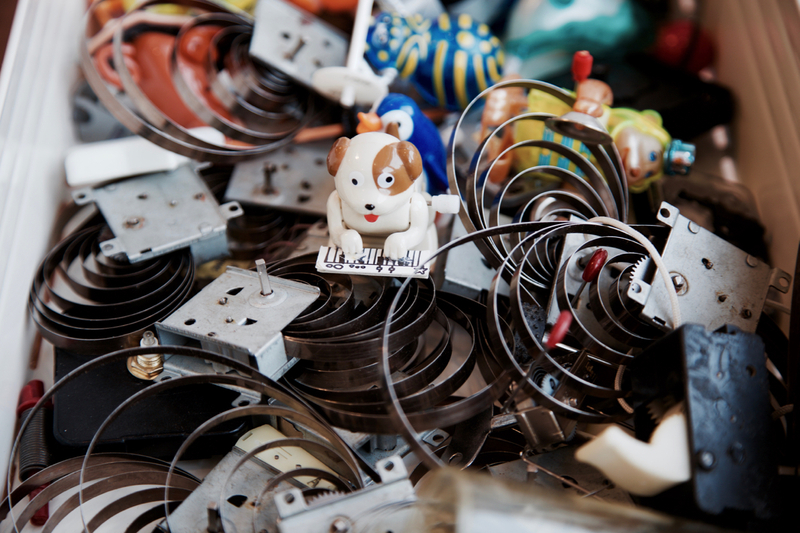 We have a great studio full of fun gadgets, workshop machinery and, of course, toys. We are a diverse team of creatives, designers, technical geniuses, makers and inventors, sharing a passion for our industry which means day-to-day literally anything could happen! We like that. FUSE London brings together an eclectic mix of people and personalities who share one thing in common – a true passion for toys! Think table tennis, darts, Nerf wars, Hacky Sack, Warhammer, magic, board games, and occasional trips to the pub or a visit to the cinema for the big hits. And then there’s our Friday ritual of fish & chips! Still want to play with us? Our meetings take place over tea and biscuits – very important! We’re always interested in hearing from people who share our love of play. We transform our ideas into physical working models and prototypes for leading toy brands. Since 2001, we have been inventing and licensing our ideas for leading companies and their brands such as: Barbie, Fisher-Price, Star Wars, Hot Wheels, Monster High, Teenage Mutant Ninja Turtles, Disney Princess, My Little Pony and Polly Pocket. We also build ‘one-off’ unbranded concepts too, like Gravity Maze as well as Total Action and sometimes our inventions inspire new brands like Pet Parade. Our ethos is very simple. We work hard at play! We work hard to create new inventions for the play industry. When we’re not in our London studio we’re either attending Toy or Technology fairs or we’re visiting clients all over the world to ensure that we maintain excellent relationships with everyone we work with. We all work really hard. We’re also pretty good at playing hard too! Our London studio is a creative, relaxed, fun and inspiring place. There’s always so much going on, we have lots to share with you. We work in a purpose built, invention studio in West London. It’s full of weird and wonderful contraptions and technology. Everything we need to inspire us and bring our ideas to life. Our team includes some of the world’s leading innovators in the toy, brand creation, and kid’s entertainment industries and we have extended our network of inventor friends with partners all around the globe. We have a wealth of experience, global success and satisfied licensees and clients.